It seems like there are more people sick this year with colds and flus than I remember in past years. Hopefully, this early stretch of sickness will be the worst of it this winter, but it’s always good to be prepared! 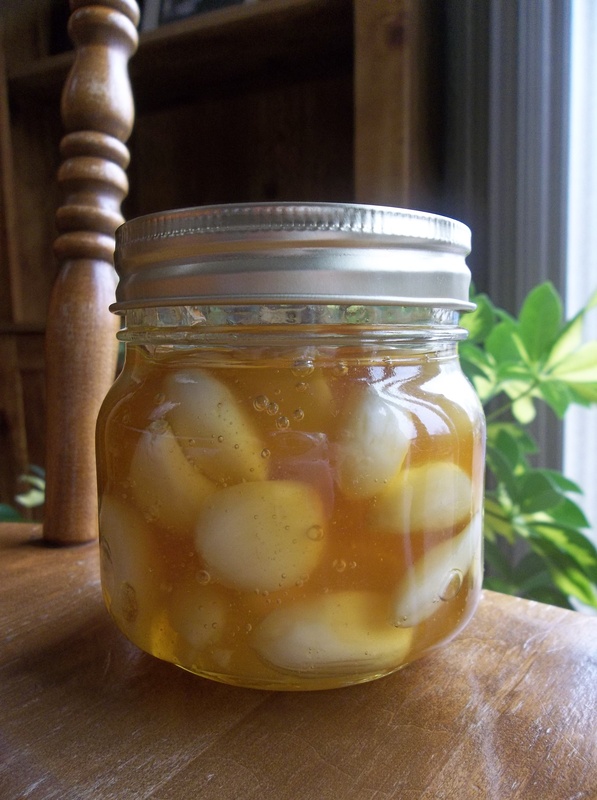 In our house, we use natural methods for keeping healthy and healing when we are sick, including homemade chicken broth, elderberry syrup, essential oils, vaporizers, tea, detox baths, warm compresses, and raw honey; this honey infused garlic recipe is another great way to help strengthen your immune system. The original recipe can be found at dontwastethecrumbs.com. 1. Peel garlic, then crush it with the flat side of a knife and let it sit for 15 minutes. 2. Place the garlic in your jar and cover it with raw honey. 3. Let the garlic/honey sit on the counter at room temp for 3-5 days with a tight lid on. Then place in the fridge for storage. Eat the garlic and honey together on a regular basis to help stay healthy!